There is no doubt, before coming Bootstrap, creating a crisp, highly responsive and ready-to-use HTML5 website with a pleasing mobile-compatible interface has never been easier!. 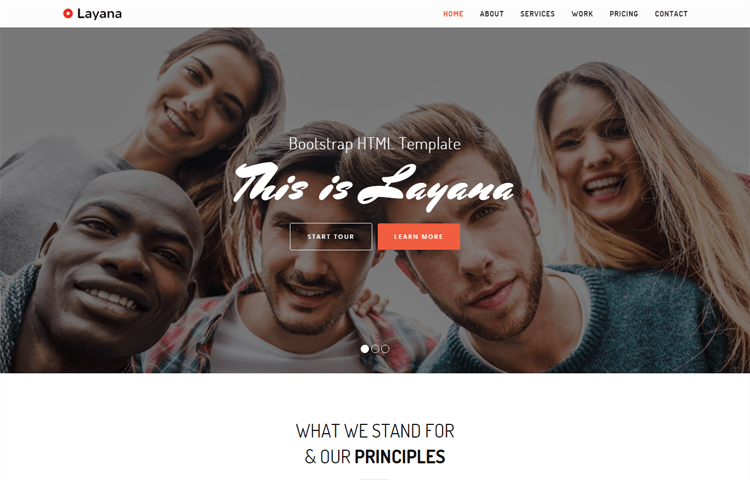 That’s why now-a-days, using Bootstrap Template has a tremendous impact on your ability to present your brand in its best light, reflecting a professional, customized and sleek interface for your brand identity. 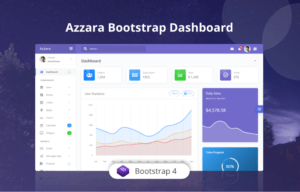 Bootstrap 4 is the latest version of the Bootstrap framework. It is widely being used by developers all over the world to come up with clean, responsive and customizable web templates. Bootstrap is Now #1 CSS framework used to code Web Interfaces, as it provides great features including awesome set of tools to ease the development life-cycle. 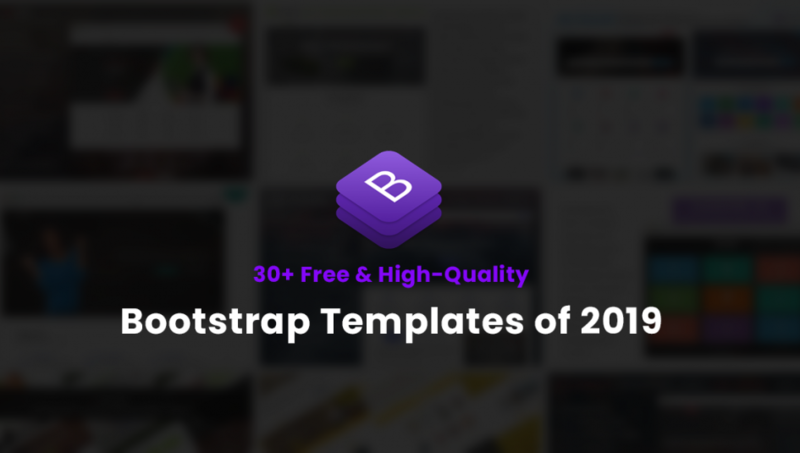 Here is a list of such Free Bootstrap Templates that can be easily used in various domains like: Business, Landing Page, Portfolio, Corporate, Startup, Healthcare, Apps/Software, Food and, Sports and so on. You can save your time and money and develop unique webpages for your business by using these templates. 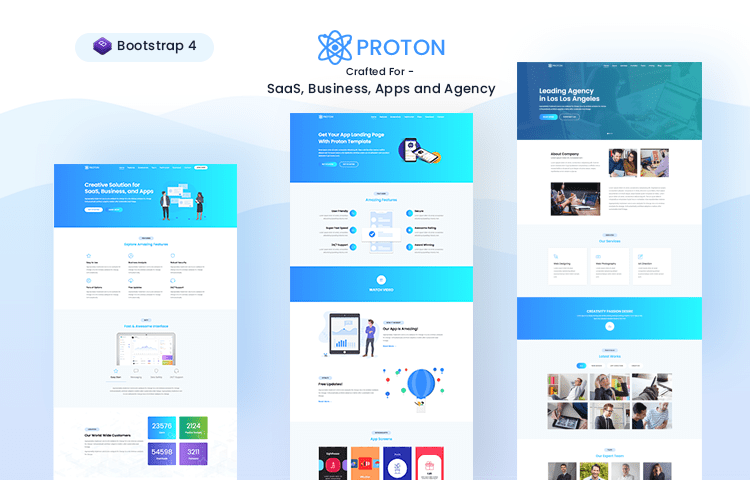 Proton is Bootstrap 4 based Web Template Crafted for – WebApp, LandingPage, SaaS, Mobile App Site and Agencies. 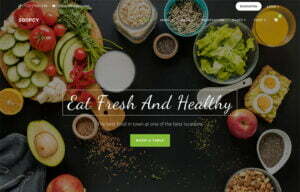 It is clean and trendy template comes with all required sections you need to build a website. Proton packed with all essential libraries and plugins which are makes it more efficient and robust. 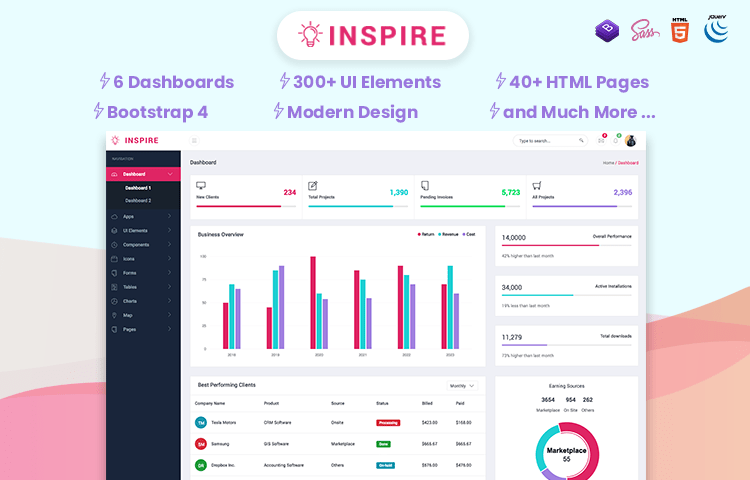 Inspire is high-quality free and premium admin template built with bootstrap 4. It comes with all 300+ essential components you need to create web application admin panel or dashboard. Inspire has 6 different homepage variations with light and dark version. 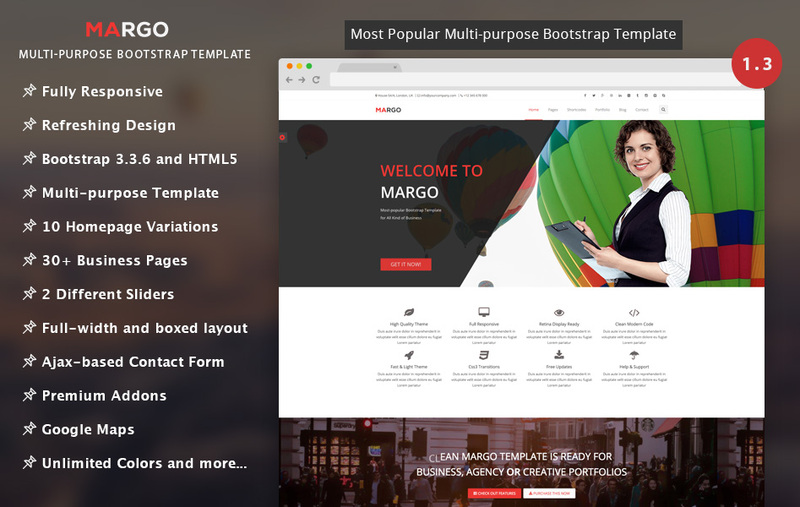 As a premium quality, multi-purpose Bootstrap template, Margo’s full-width, boxed layout provides a refreshingly neat interface. Margo is fully responsive, and has two sliders. It comes with 10 homepage options and offers over 30 business pages. The multi-purpose template is easy-to-use and yet not simplistic; it is a smart blend of professional outlook paired with artistic flair. 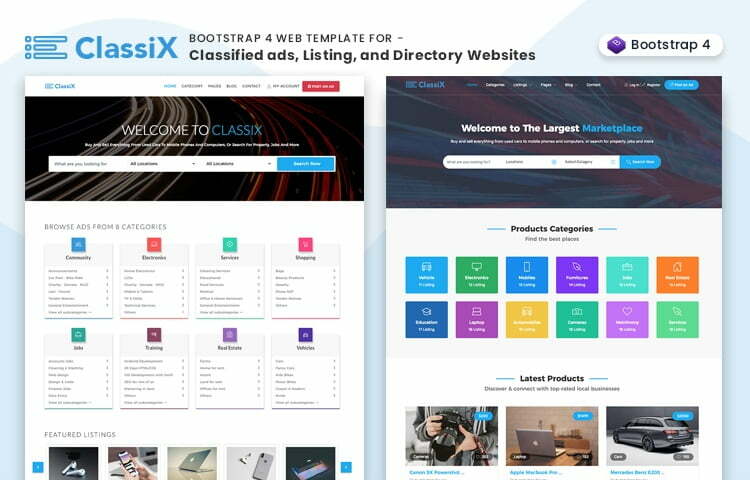 ClassiX is a stylish and modern HTML5 Template for Classified Ads, Directory and Listing. It is material design inspired, with a distinctive typography. It is easy to use and customize, and it also provides a fully responsive layout and rich documentation. If you are looking to design a platform for visitors to sign up, post advertisements and services, or online directories, ClassiX is the ideal choice for you. It provides more than 40+ pages of web-space for listing entries, along with 2 unique versions of homepage. Material is a multipurpose template that can be used to design a simple and fully responsive website. It has more than 100 elements and icons. It has 20+ pre-designed pages that help in designing a fully functional website. 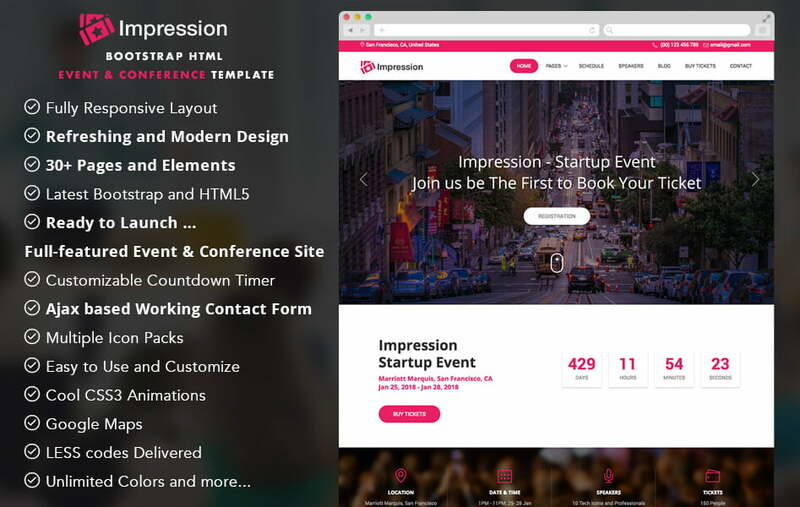 Some features of the template are revolution slider, pop-ups and animations and so on. Fully responsive and easy to customize, this template helps in creating any type of website. 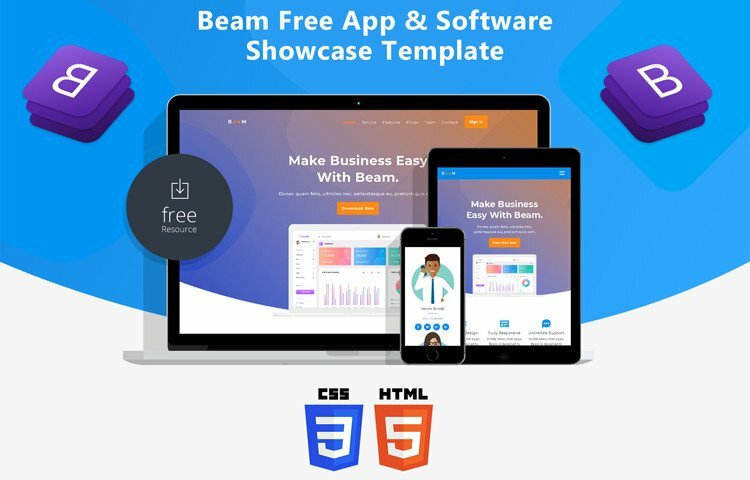 BEAM is modern & lightweight app landing page template comes with all essential section you need to create a complete app landing page or one page website. This is a one-of-a-kind free job portal website template. It has a clean and modern layout with a block-based structure that can be readily customized. Four different homepages are available as are unlimited color options. A particularly helpful feature is 24/7 support. 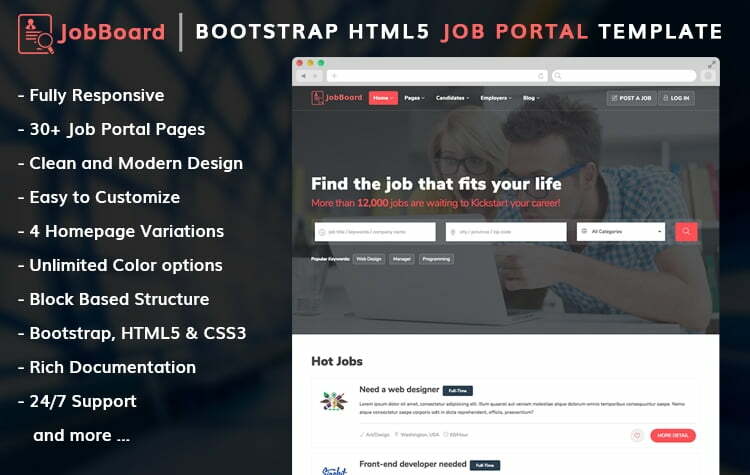 With more than 30 job portal pages, this website template is crafted to be a high quality job portal. The ease of use with this website template is such that Job Portal CMS can be built with no need for recourse to frontend coding. It comes in both pro and lite versions. 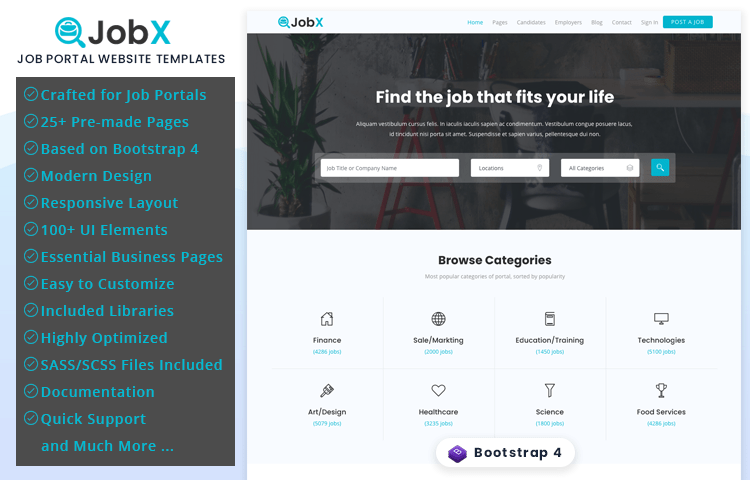 JobX is modern job portal web template crafted with Bootstrap 4. It is very well-designed template comes with all essential pages, sections and elements you need to build a complete job portal web UI. JobX comes with 25+ pages, it is very easy to customize job board template as well as SASS files. The aptly named Impression has an elegant and classic presentation as a template for events and conferences. The ready-to-launch setup is suitable for all event types, including Business and Academic conferences, seminars, Tech Events, etc. 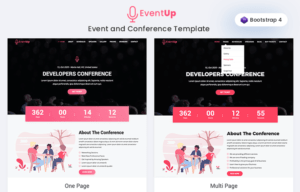 With over 30 ready-made pages and elements, this template allows you to set your event in motion in a matter of minutes. It even comes with a nifty customizable timer that counts down to the date of your event. 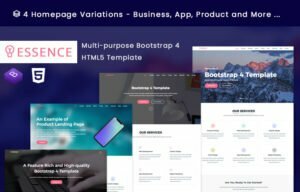 Engage is a free template developed using Bootstrap 4 framework which can be used to design websites for business or agencies or for portfolios. It is a multipage template that has more than 40 readymade pages. The template is scalable, responsive and customizable. The design is simple and clean and provides unlimited color options. Fully responsive layout and tons of Short-code. 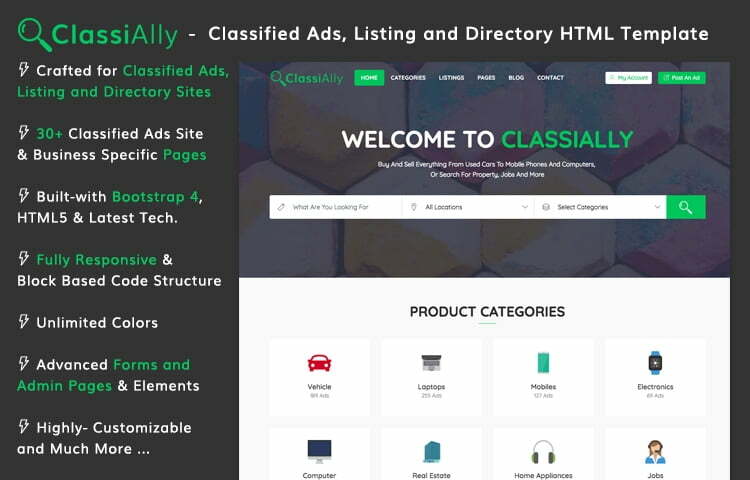 ClassiAlly is high quality free and premium classified ads and listing template built with Bootstrap 4. It is comes with modern design and all essential pages you need to develop a classified ads CMS/Website. ClassiAlly is a developer friendly web template comes with very effecient customization options such as – SASS files, block based code structure etc. If you are looking for a template to develop a classified ads system based on that, ClassiAlly is just perfect choice. 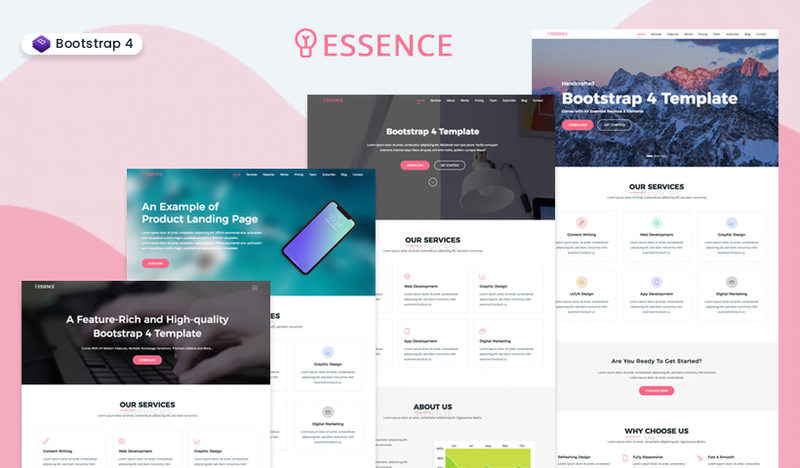 ESSENCE is premium quality free Bootstrap 4 One page Template, best suited for – Business, Apps, Portfolio and Even Personal Sites. It comes with 4 different homepage variations and includes all essential sections you need to make a complete website. If you are looking for premium quality free web template for your next project, ESSENCE is perfect choice. 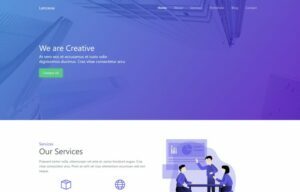 Mate is a bootstrap 4 template that can be used to design agency or startup websites. It has been developed using some of the latest technologies and hence is fully responsive. The template uses parallax scrolling to effectively communicate to its visitors all the features of the business. The code of the template is commented very well that helps in customizing the template according to specific requirements. 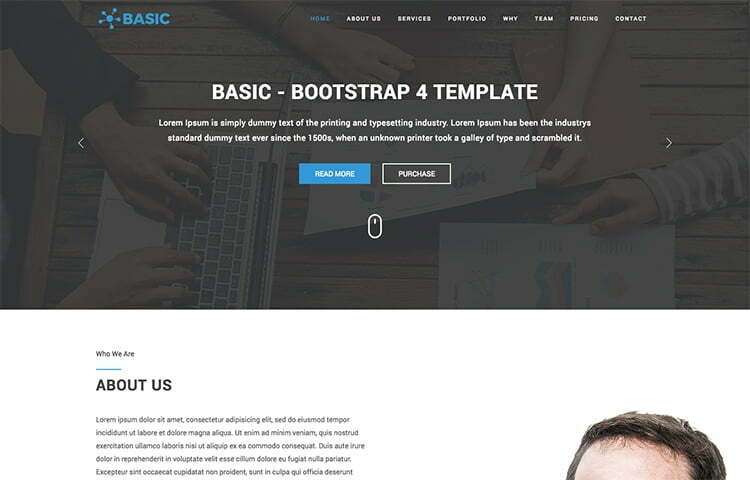 Basic is a multipurpose template that can be used for creating business or portfolio websites or landing pages. It is a one page template which comes with 2 home page variation- business homepage and app homepage. The code of the template is well organized and documented which makes it easy to customize the template. The template is SEO optimized and fully responsive. 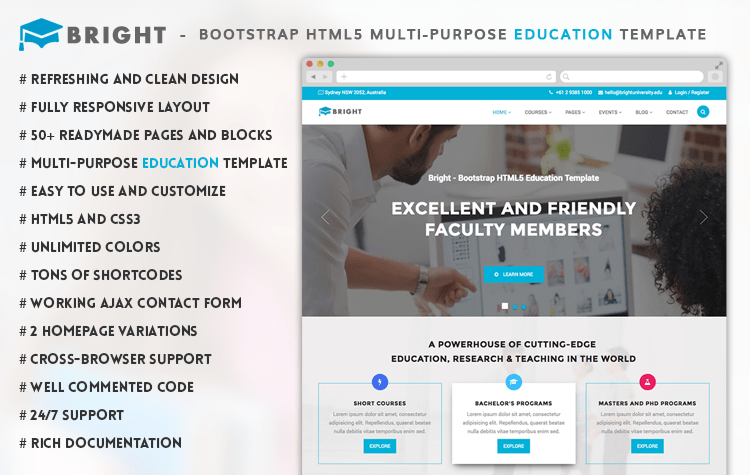 This free responsive Bootstrap HTML education template is the perfect choice for Universities, LMS, Training Institutes, Schools, Colleges and Course Portals. This is the gateway to simple and sophisticated web-based education. There are over 50 readymade pages and blocks and 2 homepage variations. 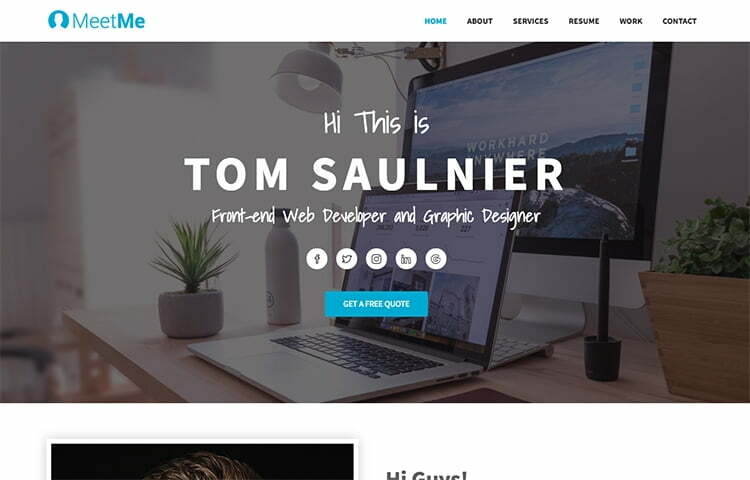 Meetme is a free portfolio template which is based on HTML5 and Bootstrap 4. The template has 2 home page variations-Regular menu home page and offcanvas menu homepage. The design of the template is clean and simple. The template comes with full documentation which makes customization of the template easy. It is responsive and fits in any screen size or resolution. The template has 10 sections and more than 200 icons. 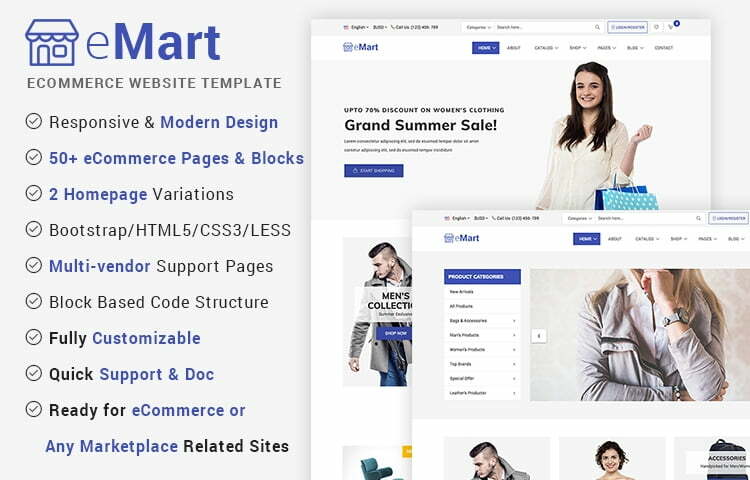 This template is complete eCommerce template with marketplace pages, it comes with stunning design, tons of pages, two different sliders, multiple menu styles and homepage variations. Good thing is it crafted with multi-vendor support. So, can be used any type of ecommerce, marketplace or multi-vendor shop sites. 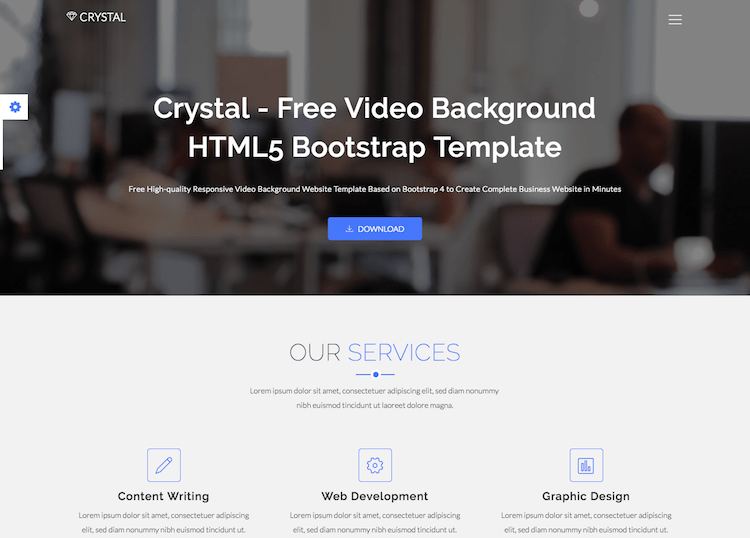 Crystal is a free template that has a video background which helps in creating a stunning business website. The template has four homepages variations which makes it easy for anyone to choose the right one for their specific requirements. The template has been developed in HTML5 and Bootstrap 4 and is highly customizable and responsive. Helium is Free and Premium Bootstrap 4 UI Kit, Crafted Carefully for Any Kind of Web Project to Design Web UI Rapidly with Ease. It comes with hundreds ready to use UI elements, clean design, and all essential plugins and libraries. As it comes with free and premium version, premium version packed with more pages, latest features and useful examples. 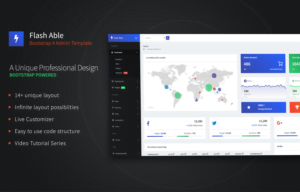 This is a free Bootstrap admin template that’s crafted to meet all your administrative and organizational needs. It’s a powerful framework for building administrative panels and back-end dashboards. This single page website template offers a sleek solution to your web-designing woes. It comes with different web-building sections and can be easily customized to your particular needs. Do you know, Who has changed the UX game for designers. That is you are seeing now. Combination of latest development platforms, avoiding unnecessary components, light-weight feature makes Core UI, as an standout Admin dashboard bootstrap template.This template encompasses more than 1000 high quality icons and a number of unique features. Famous for its clear code and file transfer. 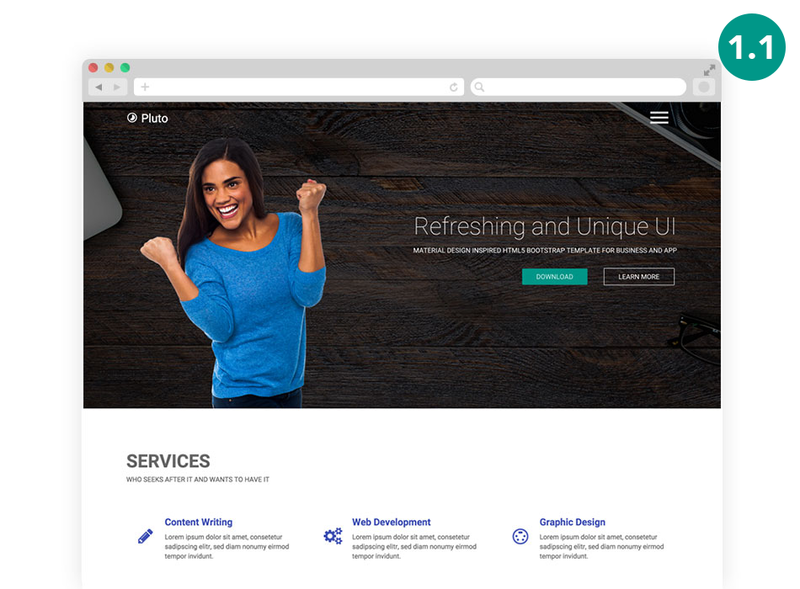 Pluto is Google’s own Material Design-oriented free Bootstrap template. All its components are based on Google’s material design UI components. This is probably the best material design template out there. Its impressive range of features makes it best-suited to business, app, product, agency, startup, corporate and portfolio websites. 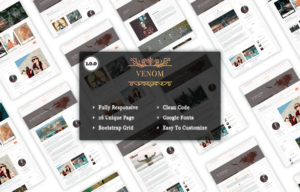 A fine Bootstrap landing page theme with a fullscreen video background, it offers a glossy interface with hues of grey in its dark color scheme. It has accented colors and smooth scrolling. The display is lined with vertical sections, and latent animations that play when scrolled into view. 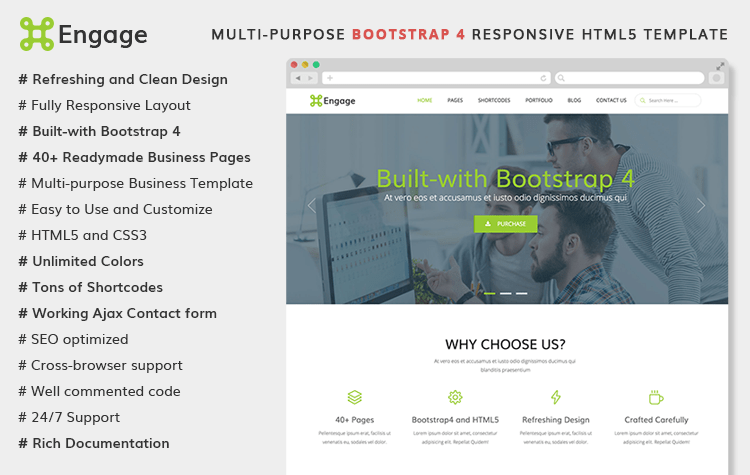 It’s a free multi-purpose Bootstrap template that comes with a single page display. Its flexibility allows it to be adapted to use for corporate, portfolio, personal, agency or business purposes. 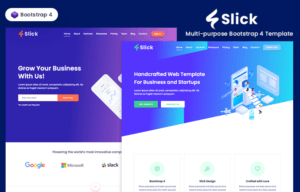 Stack is amazing business web template, you can use with almost all sort of business websites such as – Agency, Corporate, Digital Agency, Portfolio and So on. It is very clean designed template comes with all essential features and section you need to create a complete business website. This template also available as premium version to unlock more features. 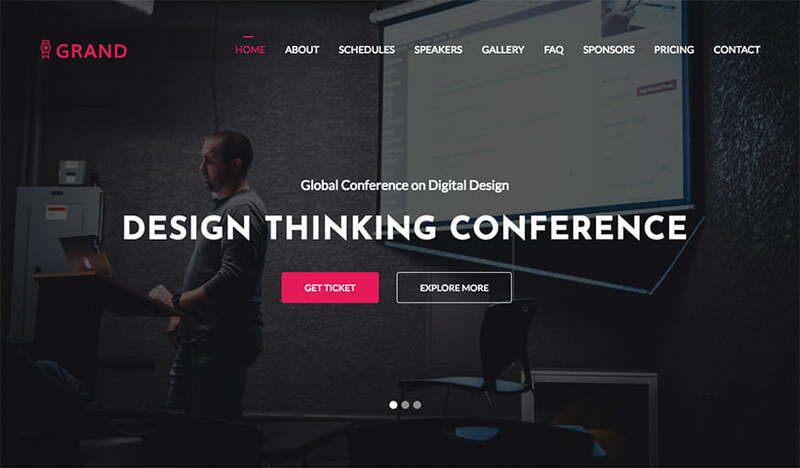 GRAND is free Web Template Specially crafted for Event and Conference Websites. It is packed with all you need to launch a complete event site as it comes with pricing table, team, event features, countdown and much more. It is very-well designed template as well as easy to customize. Fusion is trendy landing page template specially crafted for – App landing page, Business landing page and Product Landing pages. Beside all that, it comes with really clean and trendy design, essential sections and features. 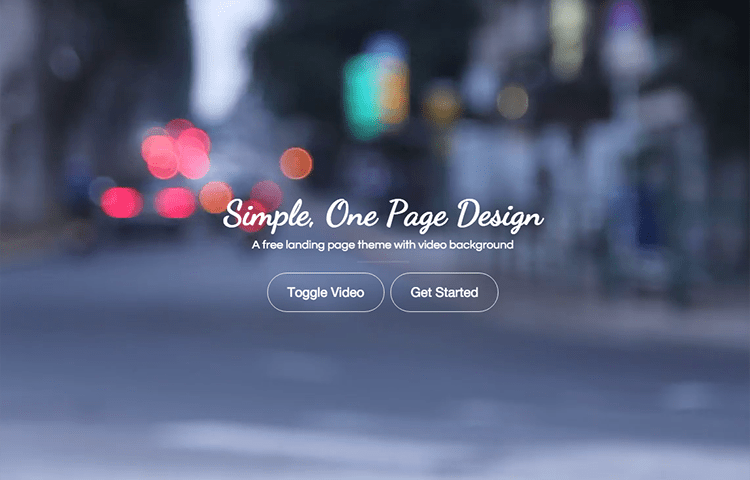 If you are looking for simple yet gorgeous landing page template or one page web template fusion is perfect. It’s a Free Web UI kit Based on Bootstrap 4 and Material Design. 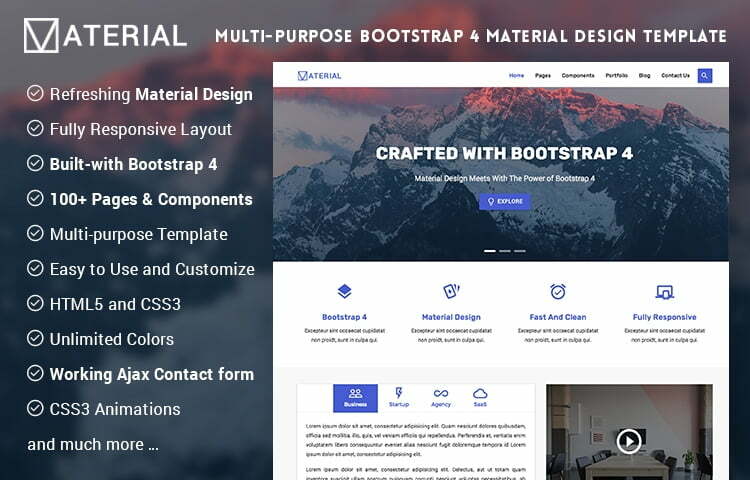 MD Bootstrap packed with tons of sections, elements and pages to help you build web UI rapidly. 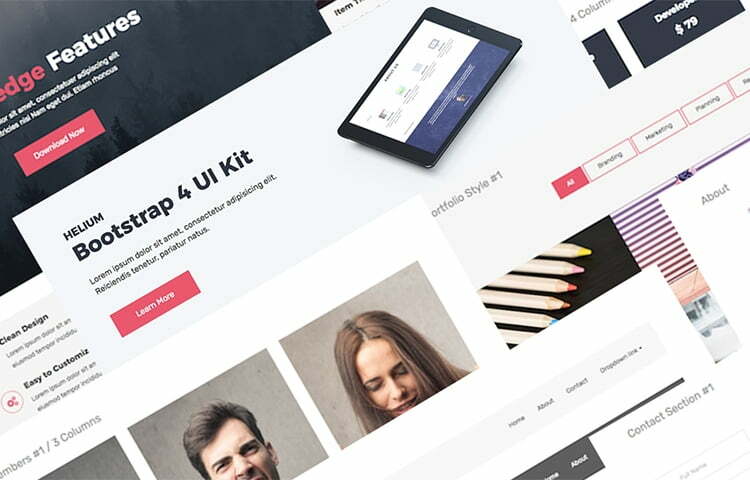 If you are looking for a complete UI kit for your web project, you must check this out! Efficiecy and UI friendly are the two things that Elate relates to. Smooth working with flawless UX/UI. Efficient portfolio page to showcase your experience, skills and many more, A resume page to put cherry on top. The perfect event planner to keep your mind right on schedule, Elegant and smooth are the two things to describe this template. eCorporate template with free characteristics for any kind of corporate service, The sophisticated layout is surely an eye-candy. Crafted with cutting edge technology, HTML 5 and Bootstrap 4. Easy to customize, User friendly. This freshly customiszd can make your web developing procedure a lot easier with the features. An ideal partner to create your sleek business website, Corporate section friendly free template that tempts you with several other attractive features. Equipped with Bootstrap 4 and HTML 5. Flawless and a great way to approach any corporate clients. A multi-purpose template to sway you away with grace and elegance. Perfectly equipped with Bootstrap 3. Single and multipage background slider is available. The ideal corporate profile website to give your website a kickstart, Professional and elegant with a hint of cutting edge technology. Ideal for business agencies or any corporate firms to showcase ideas and events. The craft of scholar is ideal to make your educational website a reality, Perfectly packed with technology, scholarly is of top notch. 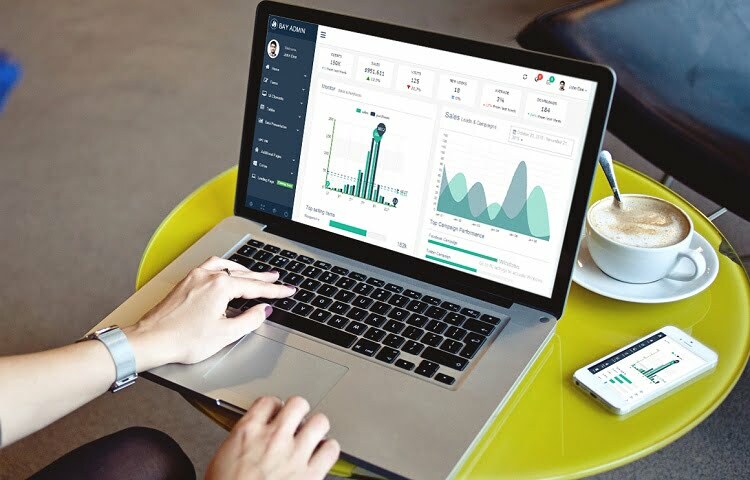 Datarc is perfect for every corporate website or agency firm and SAAS landing page, It has amazing filterable portfolio section with different pricing section. Perfectly equipped with Bootstrap and other cutting edge technologies. The right free template for the corporate purpose, Digital Agency provides amazing framework. Easy to customize and the codes are easy to understand. This template page is perfectly for admin page and flawlessly UI/UX friendly. Equipped with latest Bootstrap 4 and HTML 5. It has demo tables, price charts and service page as well. If you are about to launch an app, this is the best suited template that there is with a great landing page. Well equipped with Bootstrap 4 and Paper Kit 2. This multipurpose template is amazing with great responsive structure. Clean, responsive and user friendly. A great admin page to land your website perfectly. Free template to customize admin page perfectly, responsive layout can be a perfect fit for any website. Various application increased the efficiency of this template. 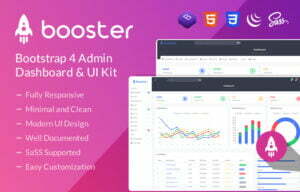 A great responsive admin dashboard template with loads of charts, use code and snippets attached. 4 dashboards are present for variation. Free launching template for websites with a subtle hint of load transition. Perfect for one page or long scrolling page for websites, Avilon is very responsive and equipped with all the modern technologies. One page free template built for law firms exclusively, The responsive layout has amazing service and practice area sections.